After her high-profile divorce with Nicholas Tse (謝霆鋒), Cecilia Cheung (張柏芝) has focused much of her attention on caring for her two sons, Lucas and Quintus. Often spotted spending time and taking her sons out, many did not suspect Cecilia to be dating anyone. 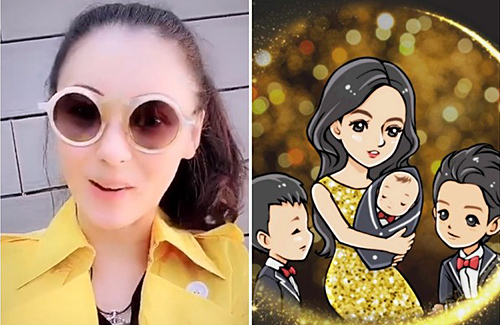 Netizens were in complete shock when the 38-year-old actress secretly welcomed the birth of her third son, nicknamed “Little Prince”, earlier in November. The identity of the baby’s father remains a mystery. Whether the father is in the picture or not, Cecilia continues to be in a good mood, as seen in her recent social media posts. She has been dieting and sharing her recipes and meals on social media. In one video, she expressed, “What am I doing right now? I’m dieting. I need to maintain my figure. 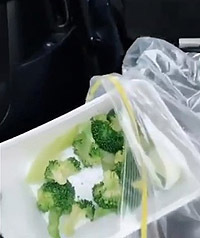 I’ve been eating a vegetarian diet.” The meal consisted of only boiled broccoli. Many netizens become concerned about her extreme method, as Cecilia has only given birth a little more than a month ago.